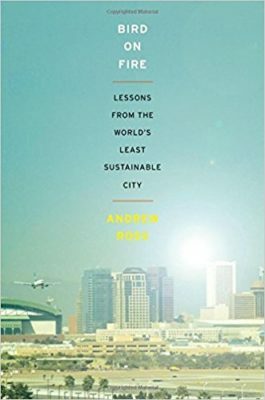 This week, I’m rereading Andrew Ross’s book, Bird on Fire: Lessons from the World’s Least Sustainable City. I haven’t really read it since it came out in 2011, just finding snippets to share as needed. It will be interesting to see what (if anything) has changed here since his original assessment. 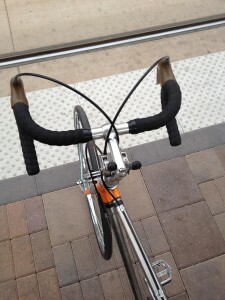 …in which the Grady Gammage Jr/Andrew Ross debate for Phoenix Urban Design Week is reviewed. 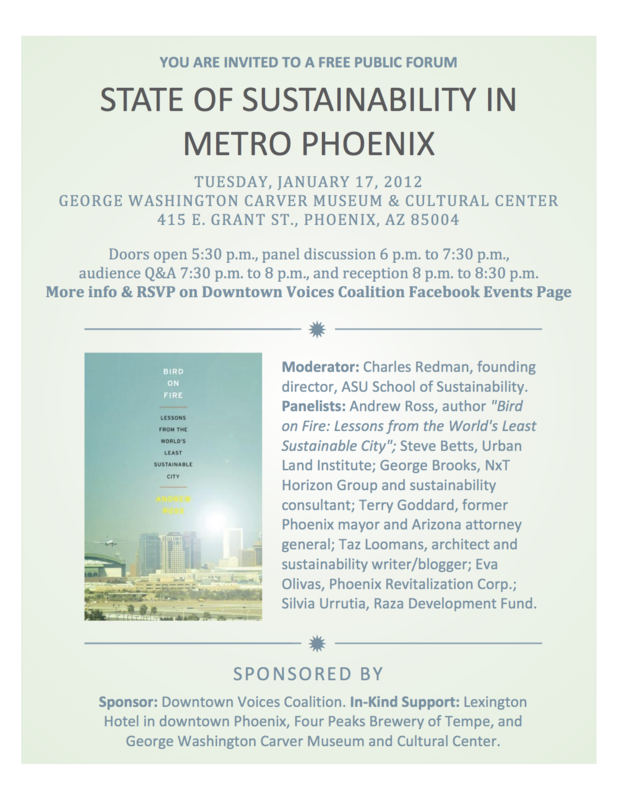 Great conversation tonight at day 3 of Phoenix Urban Design Week. I, and many, expected the conversation between Andrew Ross and Grady Gammage Jr. to be more spirited than it was but was pleased with the content of the conversation. 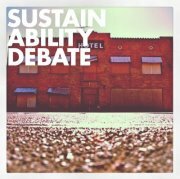 I appreciate that Andrew Ross has really tackled the social justice/social equity piece and made that as much of an issue of sustainability than just “going green” — something with which I agree wholeheartedly. It was interesting how most of the evening was spent talking about water, with nary a mention of transportation and air quality. Surprisingly, the best line of the night came from Grady Gammage Jr., who said, “You can’t have a city if you have a parking spot for everything.” I absolutely agree. Parking lots are the enemy of density. Back at it at 8am tomorrow morning at PURL!